The Educational Plant Maintenance Association of Maine (EPMA) and SchoolDude today announced an ongoing endorsement and alliance to provide affordable, web-based maintenance management solutions to school districts throughout Maine. 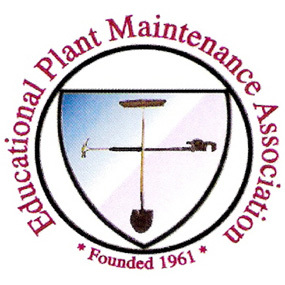 EPMA is a Maine organization dedicated to improving the standards for educational plant maintenance and custodial workmanship. SchoolDude is the nation’s leading provider of Software-as-a-Service (SaaS) applications designed specifically to help K-12 educational institutions. The endorsement enables all school districts in Maine to purchase SchoolDude’s web-based applications at affordable, discounted rates. SchoolDude’s maintenance management solutions – MaintenanceDirect, PMDirect, and PlanningDirect – automate the work order process, schedule preventive maintenance, and simplify capital planning. These solutions are delivered via the web, making the technology easy to use and affordable for both small and large school districts. The EPMA’s decision to endorse SchoolDude was encouraged by key members in the organization who voiced their approval of SchoolDude’s applications and the many benefits of using web-based technology. SchoolDude’s suite of solutions provides measurable benefits to school administrators, including improved productivity, reduced energy consumption, relief to capital budgets and extended facility life. The EPMA of Maine was founded in 1961. It is dedicated to improving the best practices of educational plant maintenance and custodial workmanship. The organization strives for the highest standards possible and for continued professional development of all persons involved in educational plant custodial and maintenance operations. Also, for the last 45 years the association has been sponsoring an annual conference that provides ongoing training and professional development to all interested individuals, whom are employed in the fields of educational plant custodial and maintenance services or operations management. Members continually introduce new and improved methods and materials to those responsible for maintaining, upgrading, and expanding our educational environment. For more information, visit http://www.epmamaine.com.